Mr. Carl D. Beck was born in Missouri in November of 1925. 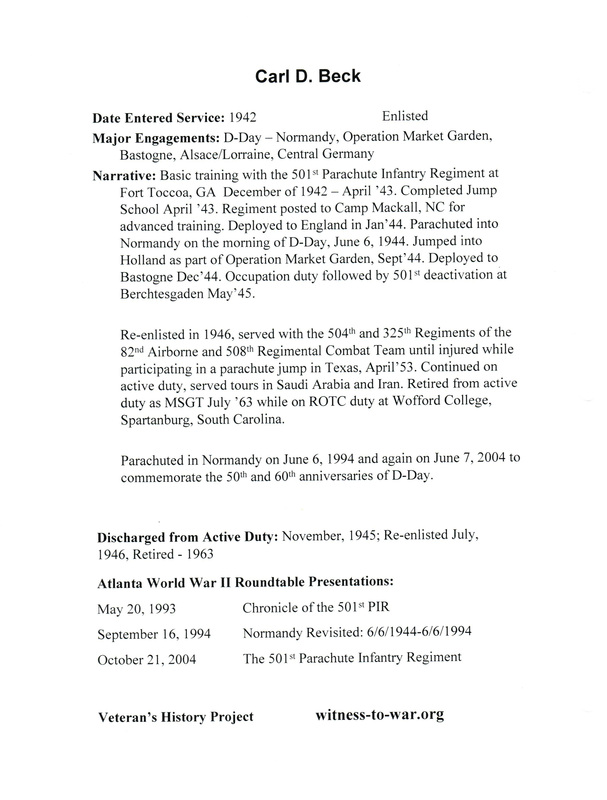 Mr. Beck served in the European Theater and was in the first combat on D-Day near Utah Beach. 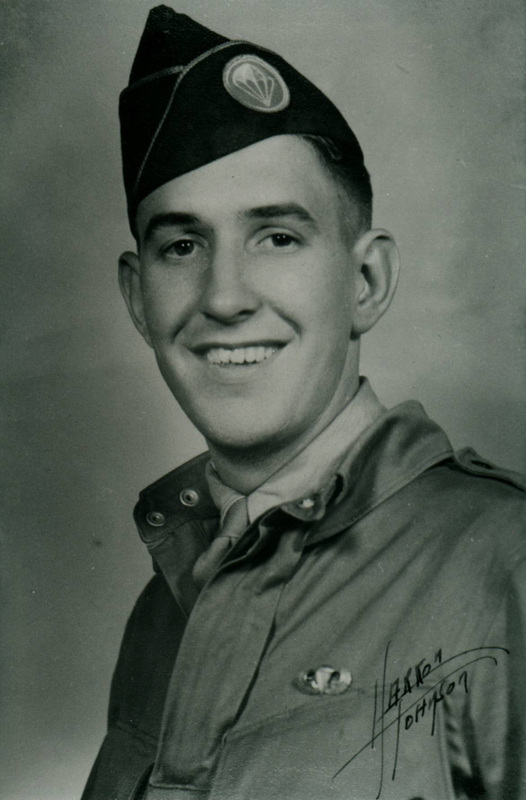 He recalls the intense ground combat he faced during Operation Market Garden, how he got mouse trapped by the Germans at the Battle of Bulge, and the Legion of Honor he received from the French.